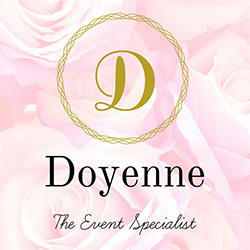 When it comes to wedding planning services in central Georgia, there&apos;s only one name you need to know - Doyenne The Event Specialist. Backed by six years of professional industry experience, we&apos;re capable of taking on the role of an additional "maid of honor." We can help plan every aspect of your wedding, including bachelor and bachelorette parties, wedding dress shopping, and the reception.